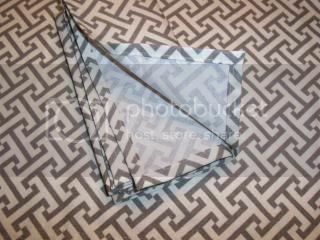 Beautiful Waverly small scale geometric design in gray on a creamy white background. This is a nice heavy weight cotton washable fabric. 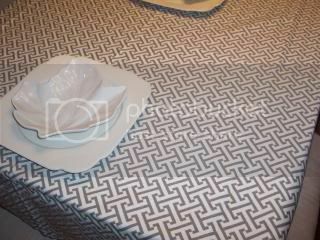 The placemats are reversible and measure approximately 13x 19. 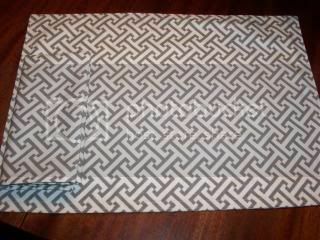 Napkins are available in 16 and 20 square and are hemstitched with mitered corners. Coordinating window treatments are also available.